This time of the year is a time of celebration, and one of the ways we can celebrate is by making a special effort to make celebratory food or drinks. My inspiration for this cocoa is from Nigella Lawson, who is the Queen of celebration. 3 cups Milk-You can add another cup of milk if you do not like it as rich, because this is like French Hot Chocolate. Get out a heavy bottomed sauce pan and melt the butter. Turn your heat on to the lowest setting, then add the chocolate and mint chips. You will slowly melt the chocolate in the butter. Then you will add the dutch cocoa, whisking gently to combine. Whisk in the salt, then gently pour in the milk. You will need to add one cup of the milk at a time, incorporating it into the chocolate mixture. Whisk gently until it comes to a gentle simmer. 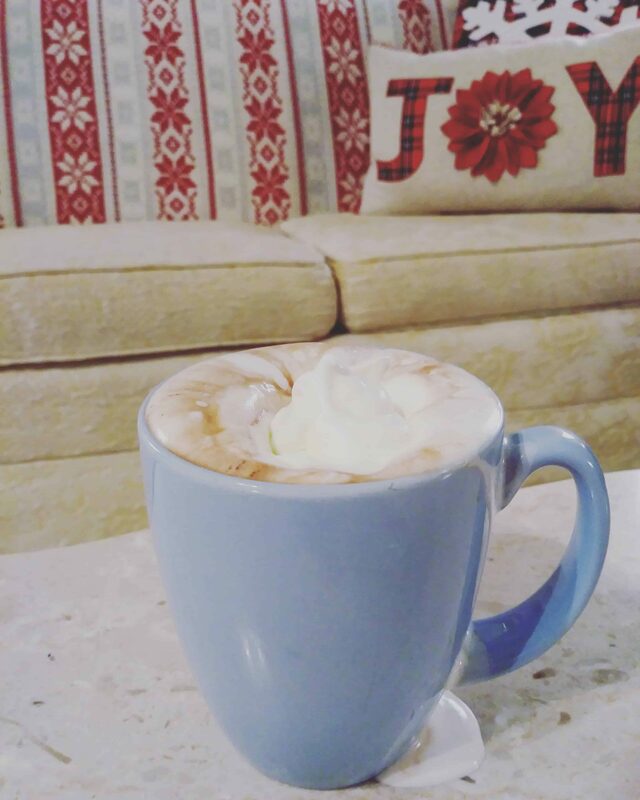 Pour in to your favorite cozy mug, and top it off with a pillow of whipped cream.